Our Wild at Heart tour features walking and hiking in New Zealand’s wild places by day and enjoying boutique lodgings at night. Off-the-beaten track locations immerse you in some of the country’s most exquisite, unspoiled scenery. 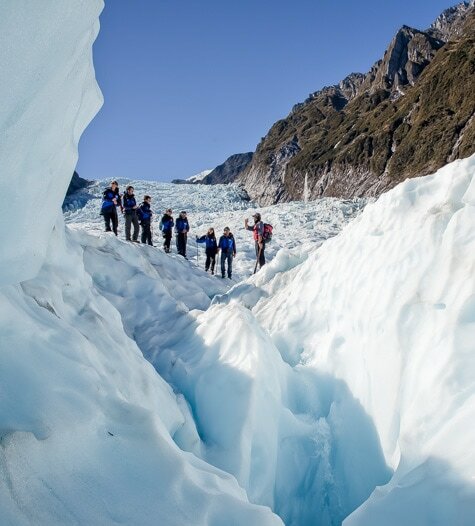 Activities include a full-day hike on the world famous Routeburn or Milford tracks. This may well be our new favourite trip. Step off the plane in Christchurch and into the tender care of your guide. Depending on your arrival time, rest at your boutique hotel or head out and explore the gardens, museums and art installations of this inspiring city in the throes of an innovative rebuild. Gather this evening to toast your impending adventure. 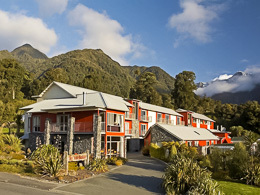 A stylish high country lodge set amidst the peaks of Arthur’s Pass National Park. 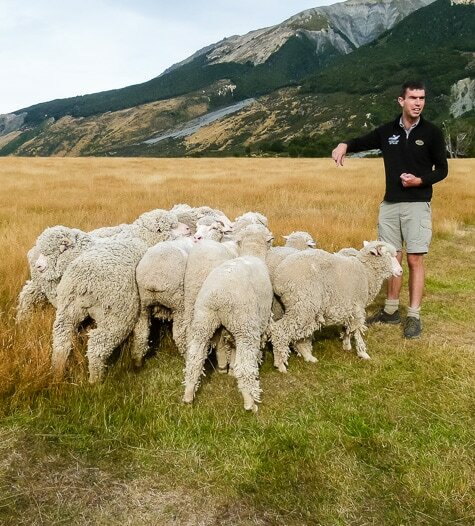 This working sheep farm immerses you in high country life, while resident naturalist guides provide an exciting programme of nature discovery. Board the renowned TranzAlpine train and ride into the scenic Southern Alps. 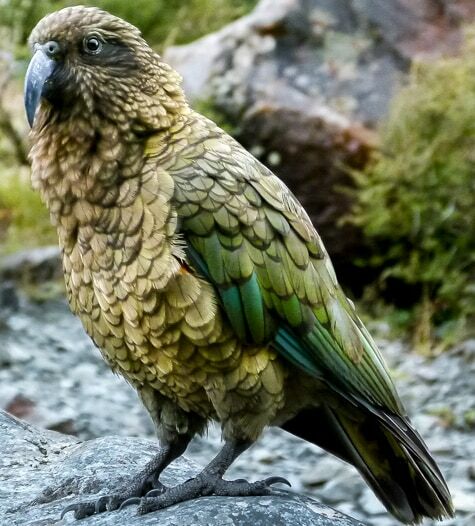 Arrive at the tiny alpine settlement of Arthur’s Pass and enjoy short hikes before travelling to your luxury lodge. The lodge, sited on its own 4,000-acre high-country sheep station and nature reserve, is a wonderful base from which to explore. 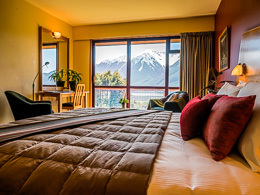 Your lodge lies between the Arthur’s Pass National Park and the Craigieburn Forest Park and is surrounded by native beech forest and tussock grassland. Guided activities and a network of mountain, forest, river, and farm walks make for a wonderful day of immersion in high-country ecology and wildlife. 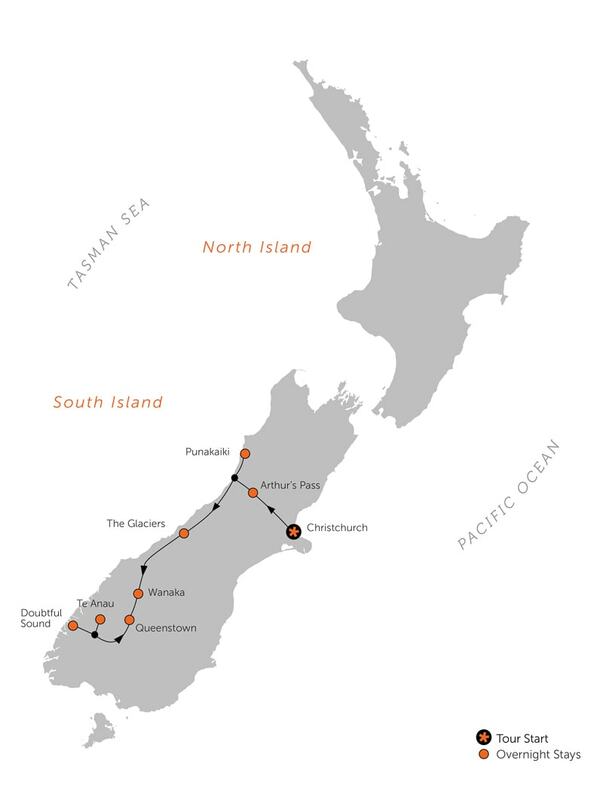 Continue over the Southern Alps and descend to the wild West Coast region. Upon reaching the coast, it's a short drive along stunning shoreline to your accommodation for the next two nights on the edge of the Paparoa National Park. The afternoon allows you time to explore the area's features, including the intriguing Pancake Rocks. This part of the South Island is honeycombed with intricate limestone cave systems. 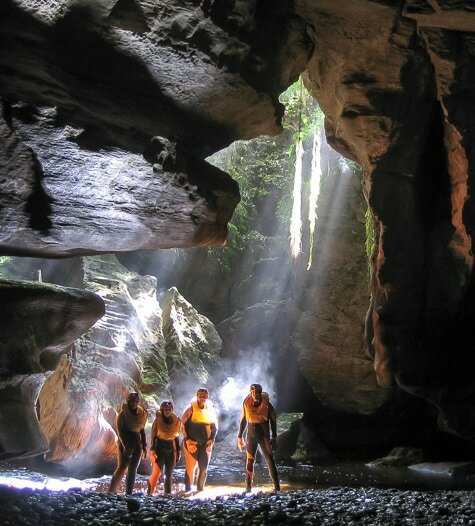 The morning gives us the opportunity to explore one of these systems on a scenic caving tour to view its delicate formations and glow-worm constellations. For those wanting to get wet and wild, a cave rafting alternative is available. 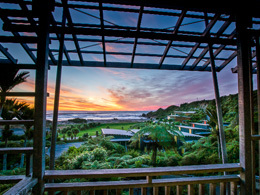 Rest back at your lodging overlooking the Tasman Sea. This morning, it's a spectacular drive down to Glacier Country. In the alpine village of Fox, embark on a heli-hike onto the glacier. A scenic helicopter flight carries you over three icefalls to land on a remote, exceptionally beautiful part of the Fox Glacier. Outfitted with crampons, explore ice caves, arches and pinnacles, following ice steps cut by your guide. 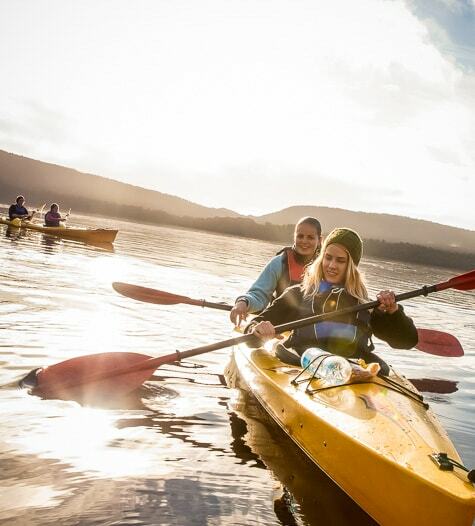 Start with an early morning gentle kayak trip on Lake Mapourika, winding your way through pristine native forest as you watch for herons, grebes, kingfishers, bellbirds and other species that visit here. Upon our return, take a self-guided mountain bike ride on an easy trail beneath a thick canopy of old-growth forest. End the day with a walk around Lake Matheson, a peaceful kettle lake created by retreating glaciers long ago. 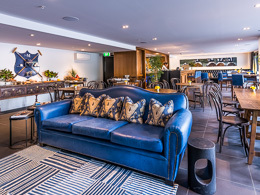 A luxury boutique lodge in a country setting just outside Wanaka township. Stunning, uninterrupted mountain views, garden access from every room and attentive service provide a restful haven. It's a stunning drive over the Haast Pass on your way to Wanaka. Dense rainforests give way to the stark mountains of the Mt Aspiring National Park as you enter the Otago region, New Zealand’s Outback. Take in its full glory with a scenic helicopter flight, walk, and jet boat experience amongst ice carved mountains, glaciers and river valleys as you head deep into the Siberia Valley wilderness. 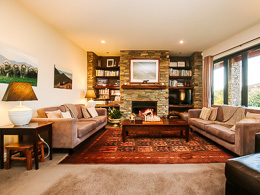 Upon your return, continue to Wanaka to settle into your retreat. Wanaka is an outdoor playground with a wide range of activities available to make the most of the region. The day is free for you to pick and choose optional activities as you wish. The detailed itinerary offers recommendations and pricing, including wine trails, fly fishing, 4WD safaris and hiking. Pick-up and drop-off service is provided from the lodge. Alternatively, enjoy the lodge and its setting. Depart Wanaka for an excursion to spectacular Doubtful Sound in Fiordland National Park. It’s a scenic cruise across Lake Manapouri and a coach crossing over Wilmot Pass to Doubtful. 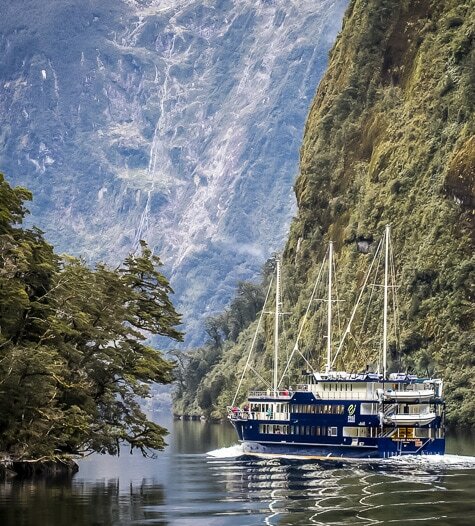 At the fiord, board your vessel for a nature cruise and overnight stay in this wilderness arena. 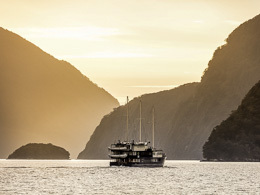 Very few see Doubtful Sound in this way and it allows you maximum time to absorb its overwhelming beauty. This morning, wake up as a rare witness to a Fiordland dawn. After a hearty breakfast, there’s time for further cruising before returning to Deep Cove and retracing your steps to Manapouri. 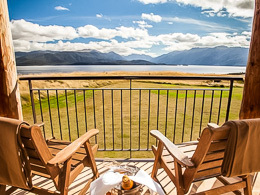 Rejoin your guide in Te Anau and settle into your luxury lodge on the edge of the largest lake in the South Island. Hiking opportunities abound here and today we have included a day hike on your choice of either the Milford or Routeburn Track, two of New Zealand’s finest Great Walks. 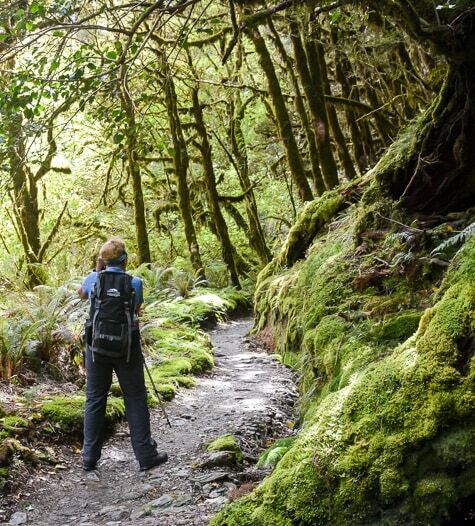 Alternatively, upgrade to a heli-hike on the Kepler Track, a third spectacular Great Walk. Any choice promises to be an unforgettable wilderness experience. 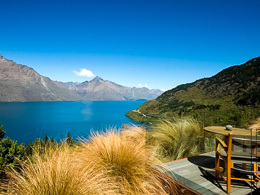 A contemporary luxury lodge overlooking Lake Wakatipu and the spectacular Remarkables range. Private hilltop villas provide an ultimate retreat as you enjoy the lodge’s unsurpassed setting and service. Travel through rolling countryside to Queenstown, stopping for lunch in Arrowtown, a picturesque hamlet steeped in gold mining history. 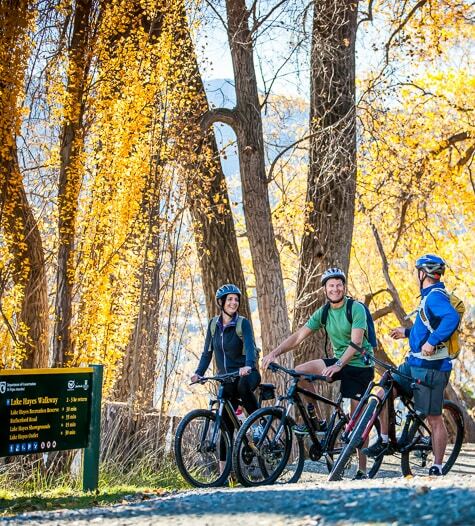 Consider a cycling option along the scenic Arrow River gorge, finishing at Gibbston winery and cheesery. Settle into your luxury lakeside lodge this afternoon and soak up the views as you enjoy pre-dinner drinks and canapes. Spend the day honouring your adventurous spirit in a town where anything seems possible. The day is free for you to pick and choose whatever optional activities you desire, from horse trekking, jetboating, and bungy jumping, to more leisurely pursuits such as walking and wine trails. Our Detailed Itinerary suggests some favourites. Gather tonight for your farewell dinner to celebrate our trip and the friendships you’ve made. What an adventure! Depending on your flight schedule today, you’ll have time to stroll the lakefront or squeeze in that bungy jump before travelling home or to your next destination. A TRULY WONDERFUL EXPERIENCE. RATING 10/10.